Private lessons (for children and adults) – Students meet privately with their teacher once a week, learning at their own pace. Students learn theory such as note reading, chords & harmony, and rhythm, as well as technique such as proper hand position, finger exercises, and scales. Group lessons (for children) – Students meet weekly with their teacher and one or more other students to learn together. This class offers the opportunity for learning ensemble pieces and togetherness with other students as they mutually encourage each other to learn. Combination group and private (for children) – These classes combine the benefits of a private lesson with those of a group lesson. 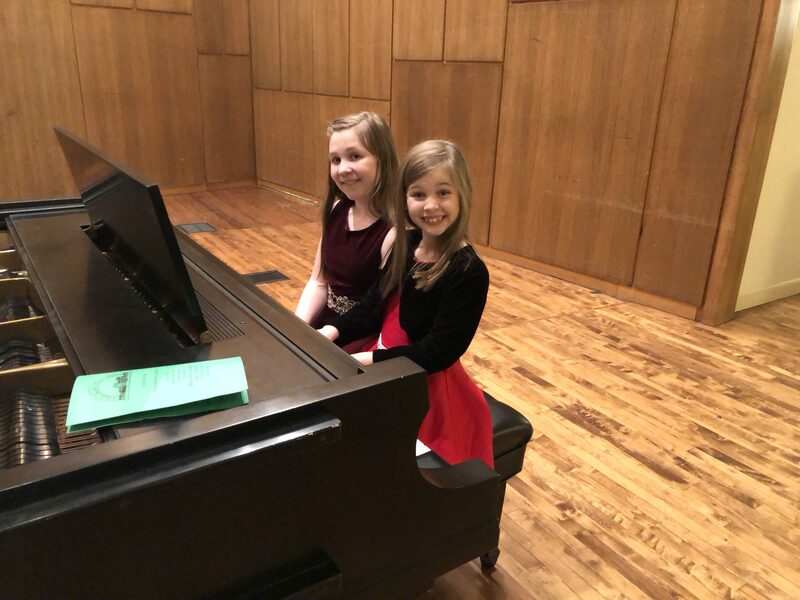 The student will have a private lesson for a certain amount of time, and then come together with one or more other students to learn together and have the opportunity to play ensemble pieces. 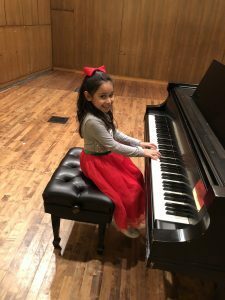 Piano lessons are fun for students at Arlington Heights Music Academy! Our piano teachers are friendly and patient. Each teacher possesses a university degree and a set of piano skills so that each student can progress from beginning to advanced instruction with the same teacher, creating a lasting bond and mutual understanding that can help the student learn in the best way possible. Students will gain an understanding of music theory and piano technique, as well as the ability to read sheet music. Once the basic technique and reading skills are learned, a wide variety of musical styles are available, including classical, jazz, and popular styles. The benefits of learning and instrument are lasting – experts agree that learning to play an instrument improves test scores, fine motor skills, self-confidence and problem solving, as well as fostering a love and understanding of the art of music. Piano is a skill that can be enjoyed for a lifetime! Want to enroll in piano lessons? Click here!